I have got two clients who work solely in WordPress. They market for Wordpress jobs and get websites done in-house. Sometimes, when they have extra work or the work which may involve some programming they source out such jobs to me. While working with them in last two years, I have noticed that they use a bunch of multi-purpose WordPress themes in almost all of their WordPress projects. I believe that they know about multi-purpose WordPress themes better than I do as they only work in WordPress, hence I thought it was worth sharing. For the flexibility, usability, extend-ability and ease of implementation and configuration these themes are most hot and recommended. Following the list of WordPress Multi-purpose themes which are used most by my WordPress clients. 1) The7 – The7 has emerged as a choice of many of our clients and companies who build WordPress websites. It is highly flexible theme with number of great configuration and customization options. It is fully responsive and fits all screen sizes perfectly. It is powered with Visual Composer so managing page content is very easy task for someone knowing little about WordPress. No programming skills are required to create really fascinating and professional web pages with this theme. 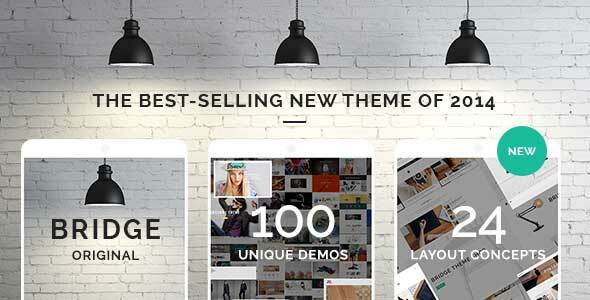 2) Bridge – Bridge has been the best selling new theme of 2014. With 100 unique demos, 24 distinctive layout concepts, 2000+ options, and regular lifetime updates (all for free), Bridge truely boasts of the largest, most comprehensive theme on the market. 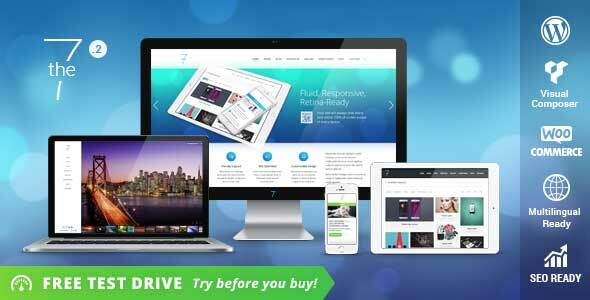 It is Woocommerce ready so you use this theme if you want to sell on your website. it is powered with Visual Composer. 3) Avada – First created in August 2012 and with a 4.76/5 average rating by 11607 users tells it’s own story. Powered with Fusion Builder it gives all options to create a fully responsive and professional looking website and it’s pages in no time. It has nicely designed and functional shop templates and it supports Woocommerce. 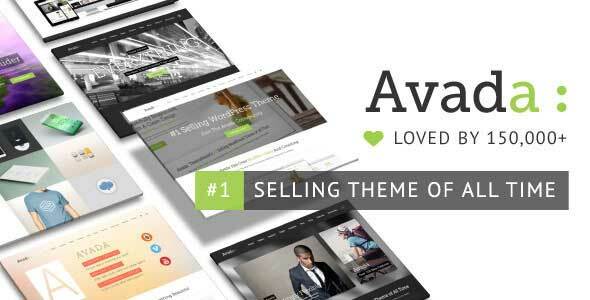 Another true multiple-purpose theme and must have theme for WordPress theme lovers and users. 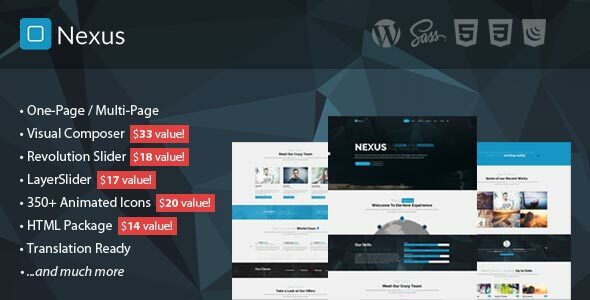 4) Nexus – Nexus is a premium WordPress theme, that is suitable for every business, in every way. It’s responsive, retina ready, clean, fully charged and handcrafted with much love. It comes with a lot of packaged plugins that you don’t need to pay for, once you have bought the theme, you will get all of these plugins for free: Visual Composer ($33), Layer Slider ($17), Revolution Slider ($18), LivIcons ($20) and HTML Files ($16) the total revenue is around $100. It offers free and lifetime support & updates for the theme. 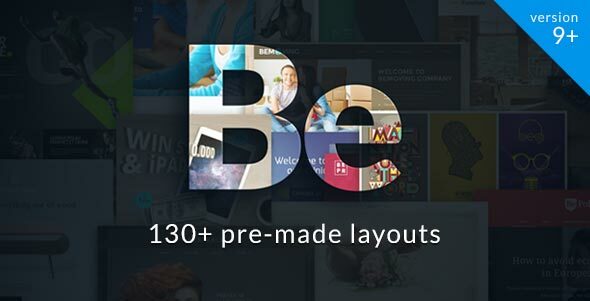 5) BeTheme – “The Biggest Theme Ever” that’s what they call it. It has 130+ pre-made layouts which can be installed and configured easily on a WordPress website. These layouts include single page layout, parallax effect & video background, built-in translator & multilingual ready and they said to have it 90% optimized for Google page speed test. It is Woocommerce ready and has many icon boxes with several icons each. Really useful and must have theme for WordPress lovers and developers.